Private browsing mode clears third-party cookies and won’t keep track of your passwords or history. The fastest-ever Firefox browser uses 30% less memory than Chrome. Load tabs, websites and stream without slowing down. Stop third-party ad trackers with three levels of privacy protection. Lockbox remembers all the passwords you save in the Firefox browser and secures them on all your devices. Sync bookmarks, share open tabs, access passwords, save notes, and more on all your devices. 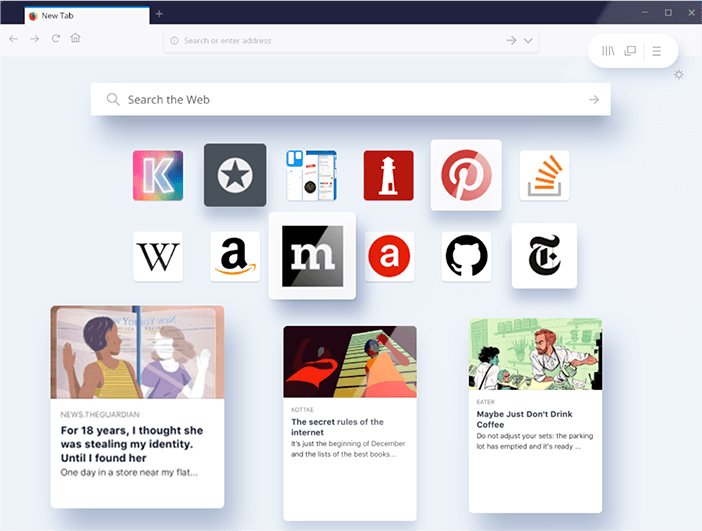 Import all your bookmarks, autofill passwords, logins, and settings from any browser straight into the Firefox browser. Meet Firefox Quantum: Fast for good.